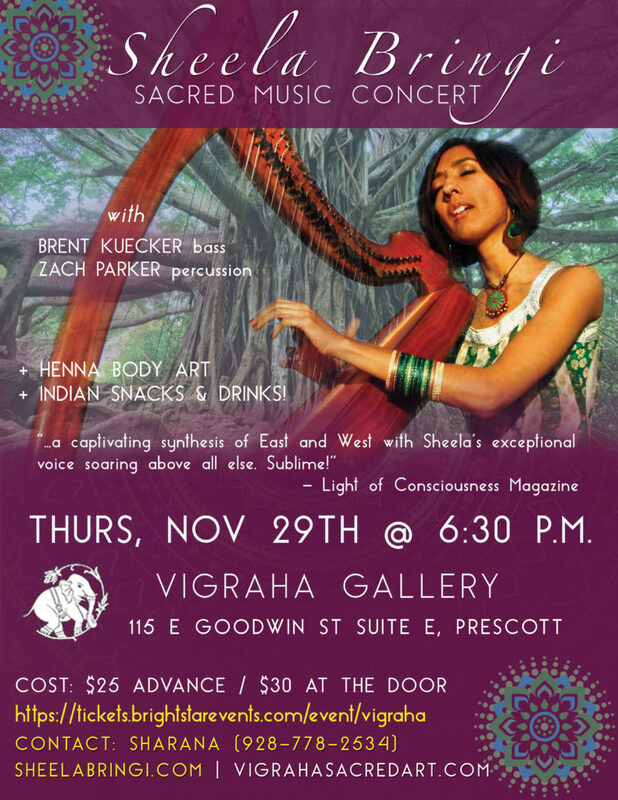 A feast for the eyes and ears – an evening of ethereal music from raga harpist, singer, and bansuri flautist Sheela Bringi – set amidst the art of India, the Himalayas and Southeast Asia. Classical Indian songs reimagined for the harp + voice, soulful devotional ballads (bhajans), Indian folk melodies and original songs. She will be joined by Brent Kuecker (bass) and Zach Parker (percussion). With Henna body art, Indian snacks and drinks!